Almond oil - source of beauty for your hair! Organic and Refined Almond Oil. How to use almond oil properly? 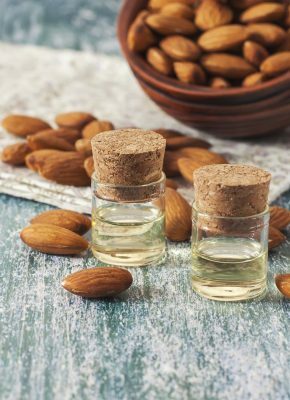 Hair fragrances with sweet almond oil. Almond care. 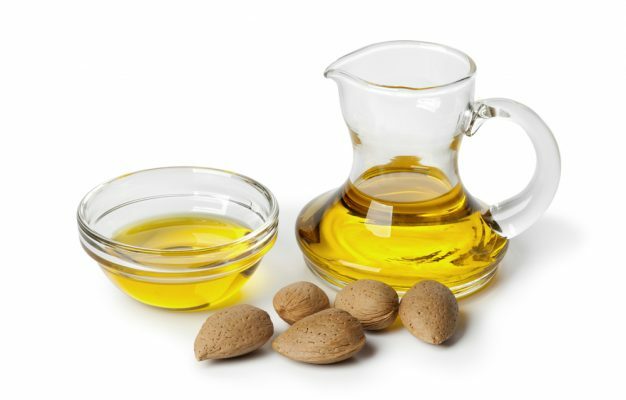 What products with almond oil to choose? It can replace most of cosmetics. Almond oil for hair and skin. Bitter or sweet? Almond Hair Oil. Almond oil is extracted from two varieties of almonds: sweet and bitter. The one produced from sweet almonds is used in cosmetic and drug industries. Sadly, contrary to bitter almond oil, it doesn't possess characteristic pleasant fragrance. It also doesn't contain toxic substance which is removed during the process of rectification. Sweet almond hair oil is extracted from the fruits of almond tree. Its original plantations were found in Central Asia and the regions of Mediterranean Sea. Nowadays, the plant is grown in Spain, France, Italy, Greece and California. Sweet almond oil has an amber colour, it turns into a liquid at room temperature and offers lots of nutritional ingredients i.e. 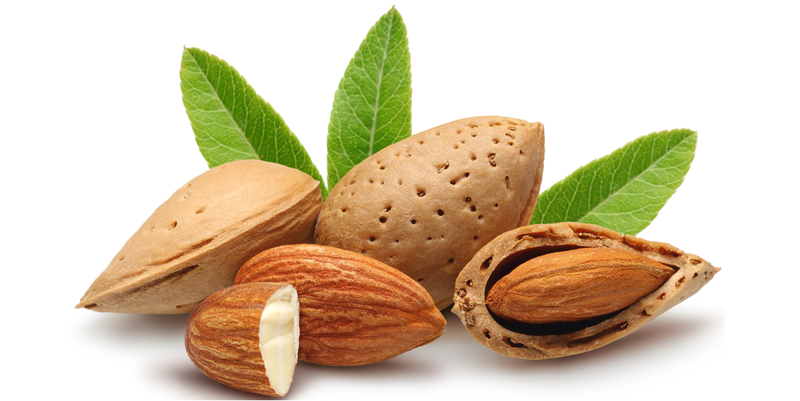 oleic acid, linoleic acid, vitamins A, B1, B2, B6, D and E.
Sweet almond oil is listed among natural emollients. These are the ingredients which moisturize the epidermis, restore deeper portions of the skin and enhance cellular restoration. During regular treatment, the oil helps to tackle stretch marks, dry cuticles, feeling of tight and burning skin, psoriasis and other conditions of face and body skin. It perfectly regenerates and soothes irritated skin, makes wounds heal faster. Sweet almond oil has light consistency thus it spreads evenly, absorbs quickly and leaves no sticky film on the skin. It is used for body massage or make up removal quite often. It is also the ingredient of soaps, balms and lotions. It is sometimes used in aromatherapy. It's perfect for hair and scalp care. Why? Sweet almond hair oil softens and smooths the strands as well as prevents hair from getting frizzy, electrified and dry. It deeply moisturizes, regnerates damaged strands and rebuilds split ends. What's more, it protects hair from UV radiation, harmful factors of external environment and some substances included in washing cosmetics. You can use almond oil separately or add it to other washing products. It can be applied in form of a rinsing mask to the entire length of hair. After ca. 15 minutes you wash the cosmetic away with a delicate shampoo and let hair dry naturally. Sweet almond oil may also be used as a serum for damaged ends. You rub a small amount of the product into damp ends. If you massage the cosmetic into the scalp, you will alleviate irritation and tackle dandruff. Almond oil – Source of beauty for your hair! Copyright © 2019.